New Homes | River Village Carpenters, Inc.
River Village Carpenters builds high quality homes using traditional “stick”, modular or hybrid construction systems. The best approach often depends on the home design and site conditions, as well as other variables specific to your project. RVC will help you determine the appropriate construction method by drawing from the experience earned building over forty-five custom homes. 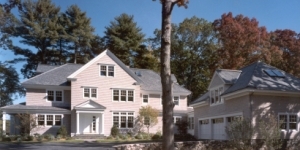 Regardless of the approach, our goal is to build a home of lasting quality and value, and to assure that your homebuilding project is a positive experience. A faster solution for tear down / rebuild projects and additions. Increased resale value as the costs for heating and cooling energy increase over time. 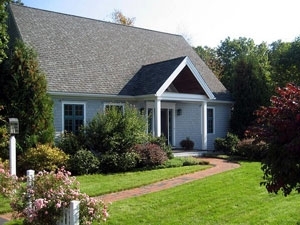 Modular home building has evolved to the point that architectural style and design options are nearly unlimited. Working from your ideas, an existing home plan, or an architect’s concept, RVC and our modular home fabricator will complete your home plans. 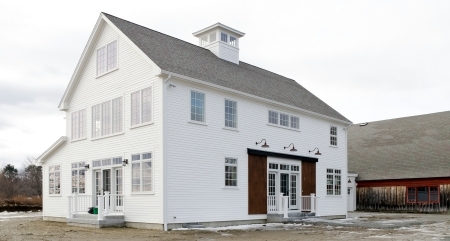 Without additional expense, we will draft the building, electrical, and plumbing plans, and perform the necessary structural engineering to meet the latest building codes. Scheduling of your project is well managed throughout each phase, resulting in a predictable move-in date. Typically 5-6 months are required from the start of the design process to occupancy. For a stick-built home of comparable size and complexity, the average build time is 8-9 months, not including the design phase. Modular home construction is a reliably faster solution when minimal disruption of the neighborhood or the Owner’s living situation is of concern. 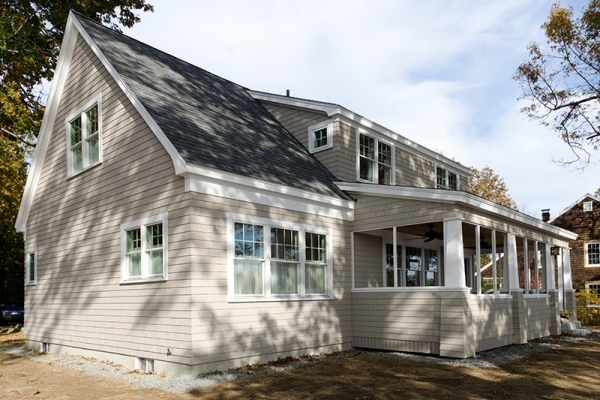 Our custom modular homes are built with top quality framing and sheathing materials. The homes are structurally over-built to withstand transportation over roads, and to meet the latest code requirements for wind uplift, snow loads, coastal zones, and catastrophic earthquake damage. 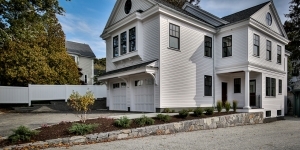 Inside the homes, high quality standards are apparent; wall and ceiling surfaces are smooth finished without visible seams, interior woodwork and cabinet installation is held to close tolerances, stair systems feature natural hardwood treads and railings, and the paintwork is smoothly applied. All of the factory performed work phases are monitored by experienced quality control personnel, and checked by a third party agency to ensure compliance to the latest building codes. 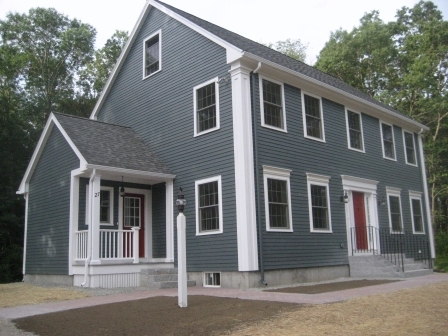 Upon completion, our modular homes are indistinguishable from high-quality traditionally built homes. 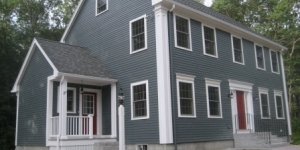 Our homes are inherently energy efficient and comfortable due to thoughtful use of materials and air sealing processes that are difficult and costly to duplicate in site-built homes. Insulation, and important related detailing, is done to Energy-Star compliant specifications, resulting in less energy consumption, and increased comfort during all seasons. Icynene foam insulation is an available option. All windows and doors have High-Performance glass. We will select, plan, and install an energy-efficient heating and cooling system that is appropriate for your lifestyle requirements. With modular construction there is much less disruption to the local environment, and much less waste compared to a site-built home. All framing materials are received, stored, and the homes are built, within a controlled dry environment, reducing the chance of mold growth. Improved indoor air quality resulting from the use of many low V.O.C. 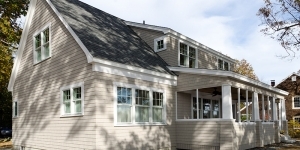 products such as low-formaldehyde sheathing panels, glue, caulking, and flooring products. All homes are built with a 3″ vent stack from the basement to the attic, allowing for future installation of a radon vent fan. 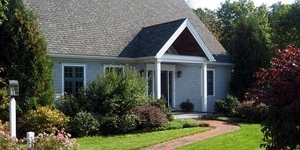 Our standard exterior materials typically include 30-year architectural roof shingles, vinyl or solid PVC trimboards, cement-composite or vinyl siding, fiberglass clad entrance doors, vinyl or aluminum clad windows and patio doors, composite porch decking, columns, and railing systems. 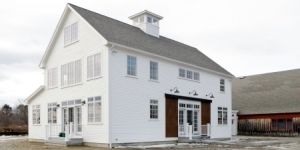 If you prefer wood siding and trim we offer durable factory-applied finishes. Shorter construction time results in less construction loan interest payments. A reliable pricing system. Once the design and estimating process is completed we will lock-in the price of the factory built phase of the home. Our contracts typically allow Owners to make additional cost or deductive changes, to the non-factory built phases of your project. 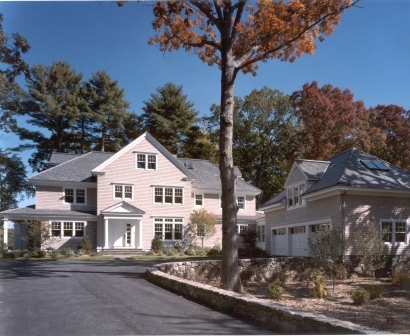 Our homes are built to be very energy efficient. Owners of homes with optional energy saving features may realize substantial savings on utility bills. calculating payments to income ratios. 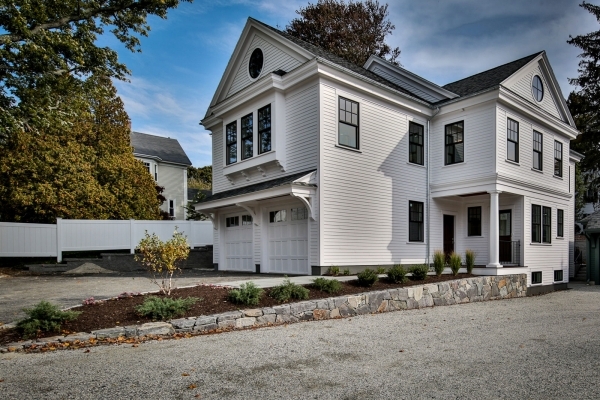 Read what this client has to say about her new modular home.